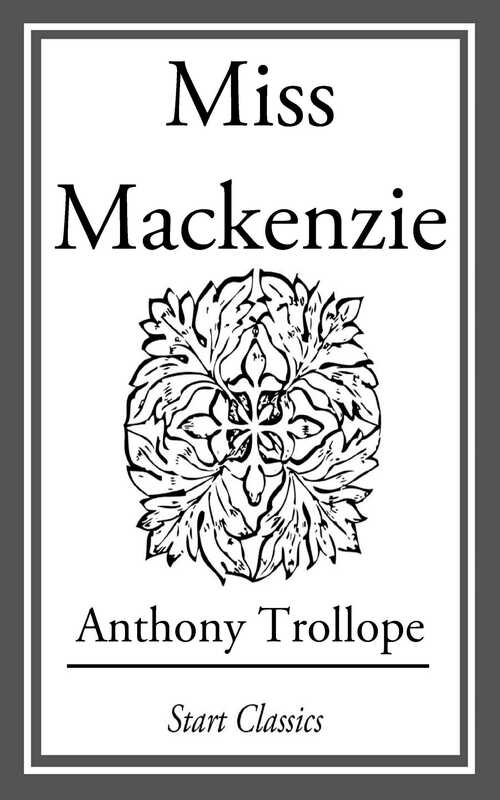 In 'Miss Mackenzie' Trollope made a deliberate attempt 'to prove that a novel may be produced without any love', but as he candidly admits in his 'Autobiography, the attempt 'breaks down before the conclusion. In taking for his heroine an middle - aged spinster, his contemporaries of writing about young girls in love. Instead he depicts Margaret Mackenzie, overwhelmed with money troubles', as she tries to assess the worth and motives of four very different suitors. Although her creator calls her 'unattractive', most readers will warm to Miss Mackenzie and admire her modesty, dignity, and shrewdness.